Whether Elon Musk’s weekend tweets came shortly after imbibing a few whiskeys during another rooftop party is anyone’s guess, but they’re certainly making people sit up and take notice. 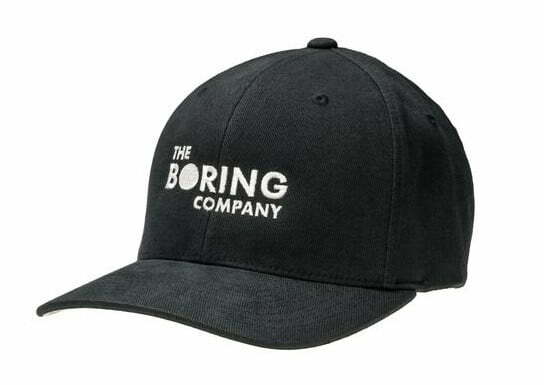 If the whole Boring Company “cap” thing passed you by because you really have better things to do than immerse yourself in the shenanigans taking place inside Musk’s cranium, then allow us to briefly explain. Following the announcement of his plan to build a futuristic subterranean freeway to banish traffic congestion (if this also passed you by, then read all about it), Musk hit upon a tongue-in-cheek plan to cobble together some cash for the ambitious project by selling baseball caps. The stunt of course also helped to raise the profile of his proposed underground traffic solution. That special hat delivery will take place deep within the real, but fictional (of course), tunnel we are building under LA while you drive the giant machine blindfolded. This will actually happen. Yes, the million bucks raised by 20,000 cap sales will be a drop in the ocean for what The Boring Company requires to follow its plans through, but Musk — not your typical gray-suited, hidden-away CEO — is having fun getting the word out about the project. The Boring Company has been digging test tunnels in California as it seeks to develop technology to speed up drilling work and as a result cut construction costs. Musk envisions a vast network of tunnels within which high-speed electric sleds will carry vehicles and people across cities in a fraction of the usual time. Officials in cities across the U.S. have already shown an interest in Musk’s idea, while just days ago The Boring Company revealed it’s bidding for a contract to build an express transit line connecting O’Hare Airport to downtown Chicago.